Dr Anne Marsh is Professor of Theory in the Faculty of Art Design & Architecture, Monash University. She is author of LOOK: Contemporary Australian Photography since 1980 (2010), Pat Brassington: This is Not a Photograph (2006), The Darkroom: Photography and the Theatre of Desire (2003) and Body and Self: Performance Art in Australia, 1969-1992 (1993). She has received two ARC Discovery grants as solo Chief Investigator: Contemporary Australian Photography (2005-2008) and Remediation: Performance Art and Video Performance (2009-2011). In collaboration with Matthew Perkins and Dr Elena Galimberti she has established The Australian Video Art Archive. 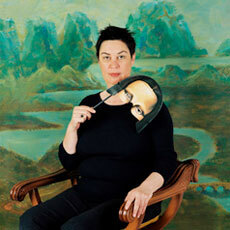 Anne is also a contributing editor for Eyeline Contemporary Visual Arts and she publishes regularly in the arts press. She is currently writing a book on Performance Art and Video Performance titled Performance, Ritual, Document. Anne is one of four chief investigators on the ARC Linkage project Photography as a Crime (2009-2012), which investigates photography in public space (with Daniel Palmer, Melissa Miles, Mark Davison and the Centre for Contemporary Photography in Melbourne).